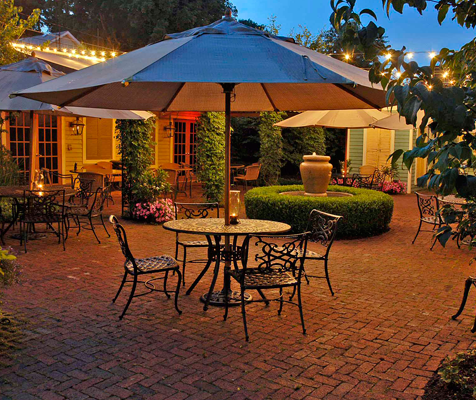 Experience fine dining with small town charm. 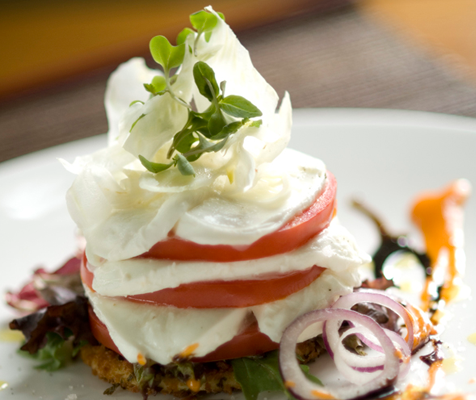 Our menu features seasonal dishes artfully prepared with food raised on our farm and other like-minded Indiana farms. 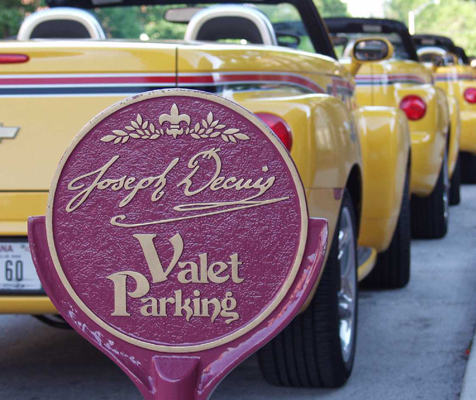 Enjoy the Joseph Decuis dining experience, voted Indiana's #1 Restaurant by Open Table diners. Reservations are recommended. To book your reservation, choose an available time online, or call us at (260) 672-1715. Our menu showcases our "Farm to Fork" philosophy and features seasonal foods from our Farm and like-minded Indiana farms. We are renowned for the delicious Wagyu beef we raise, which was cited by Bloomberg Pursuits Magazine as "some of the finest Wagyu outside of Japan." Our Collection includes wines from the finest wine-producing regions in the world. 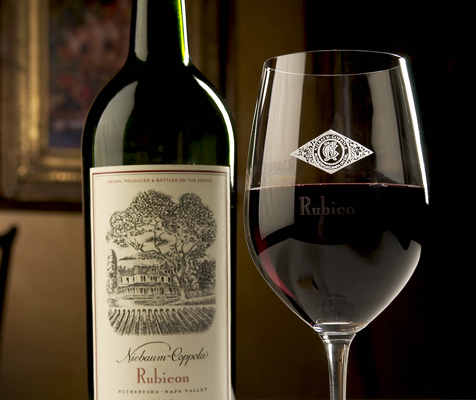 We have consistently earned Wine Spectator's coveted "Best of Award of Excellence." Enjoy the excitement of our Chefs at work in our Exhibition dining room. 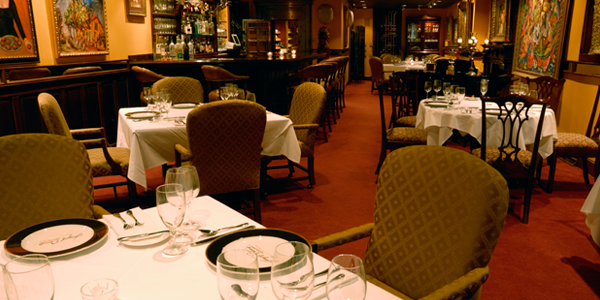 Our bar and formal dining room is located in the old bank building. 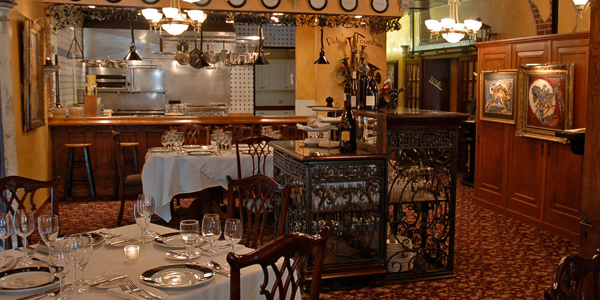 Dine surrounded by wine vaults, original Tim Johnson oil paintings and old world charm. 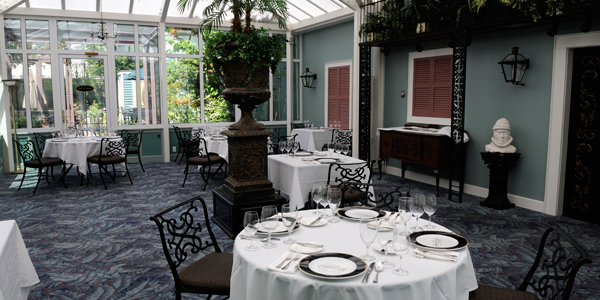 Our Conservatory brings the al fresco dining experience inside. This is outdoor dining at its finest. 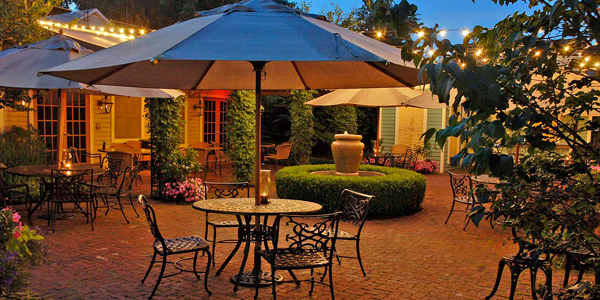 Fashioned in the style of a traditional New Orleans courtyard, enjoy your meal surrounded by lush gardens. 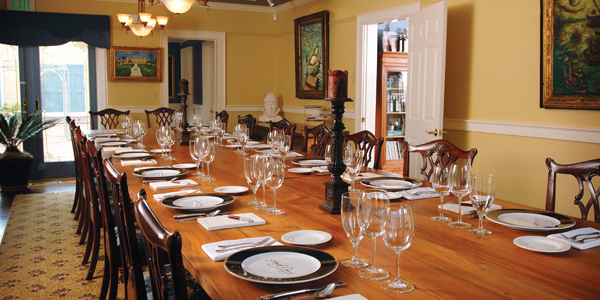 A private dining room for parties for up to 20 guests. 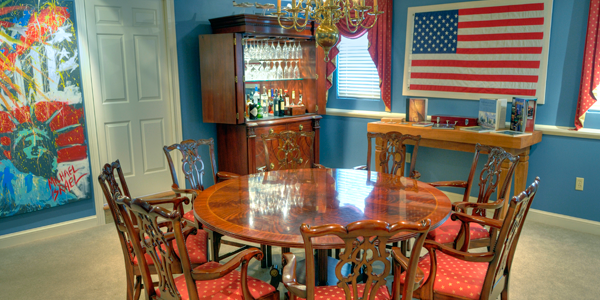 This is the private office of the owners of Joseph Decuis and is perfect for private business dinners. With seating for up to eight guests.